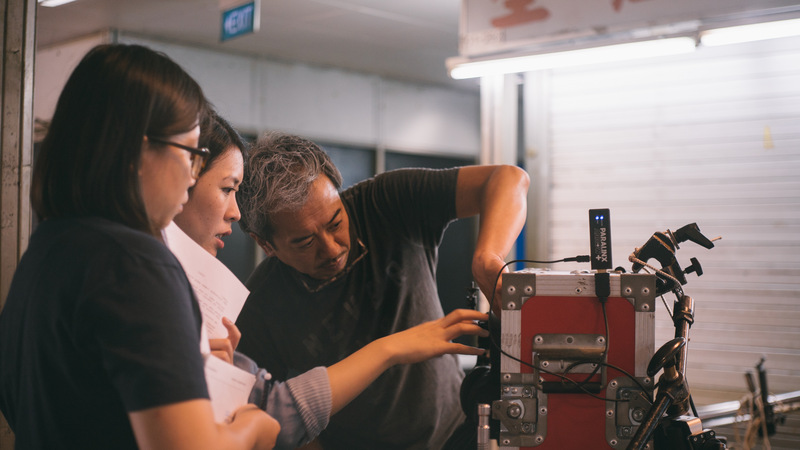 Nicole Midori Woodford is a product of Singapore’s intersecting cultures, working in the business of film. An insider and outsider at once, Woodford observes her homeland Singapore from multiple perspectives at once. I would hazard a guess that her career as a filmmaker is still in its relatively early days. 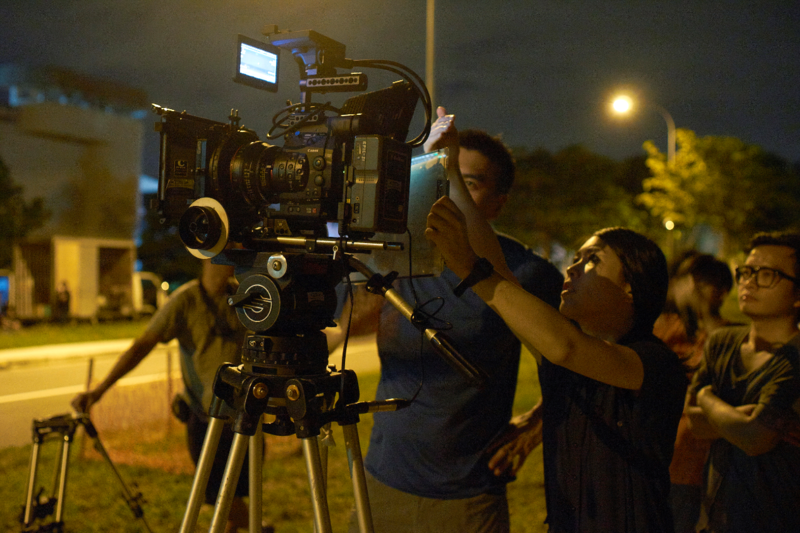 Yet, her directorial vision, a unique blend of morbidity and grace, has already received much attention in South East Asia and beyond. Fresh out of film school, Woodford was chosen for the 8th Berlinale Talent Campus. She later won the Asian Film Academy Prize for Outstanding Performance at the Busan International Film Festival. Her recent double win with her feature-length screenplay, You Are There, at the Southeast Asia Fiction Film Lab (SEAFIC), piqued my interest. I initiated an interview, and we connected over well-considered replies, a keen sense of humour and the business of film. Doyenne: You once thought you were too soft spoken to direct. When did you realise you were cut out to be a director? Woodford: People have this preconceived idea that you have to be loud and commanding, almost like a military commander, to run a film shoot. I like to be personable, and make the people I collaborate with feel comfortable. Once I knew what vision I wanted to create, I realised that it came very naturally to me. It was something about being on set. Conveying stories really pushed me. I didn’t feel shy or self conscious. D: Have you had any particularly enlightening experiences while working on set? Woodford: When you work with the right people, you magically have this chemistry and it brings a lot of life into the film. But there are also enlightening experiences that are negative and emotionally draining. These have pushed me to be a more driven director. Maybe a little more ruthless. Not in a crazy way, but I don’t think people should step on each other. D: How does your mixed ethnicity influence your work? Woodford: When I’m asked about my roots, I often say that I’m Singaporean to put people at ease. My mixed ethnicity makes me feel like I can be both an insider and outsider. My mum is Singaporean Chinese, and Dad is half-British, mixed with a little Portuguese, and half-Japanese. There’s this joke that I’m the result of Singapore’s history – colonised by the British, occupied by the Japanese, filled with Chinese immigrants. And I’m a mix of all that! D: Do you think your films speak more to women than men? Woodford: I don’t really know if my films speak more to women, but I do want my films to explore women’s psyches. The perspective of a female protagonist is not always told by a female. I think that’s quite important. Not saying male directors can’t do it, but it brings something different into the picture. D: What should young filmmakers do when they are first starting out? Woodford: Humility, patience and drive are important. Be humble and understand that the tree you see towering over you does not instantly start as a tree. It starts as a seed. D: What’s in the pipeline for you? Woodford: My latest short Permanent Resident is part of a series of short films produced with a few other local directors. I’m very thankful to be part of this project initiated by The Creative Room. I’m also working on the next draft of my feature. Hopefully, I’ll get it translated into different languages after that. In addition, I’m working on a short film that is part of a commission of fifteen short films, spearheaded by Daniel Yun. D: A busy time then? Steph Jack is a half-Australian, half-Singaporean Chinese actress.